What are your thoughts on the new standards? DOC Consulting > News > Healthcare > What are your thoughts on the new standards? In Northern Ireland operators of Nursing Homes work within the 2005 Regulations carrying through from the The Health and Personal Social Services (Quality, Improvement and Regulation) (Northern Ireland) Order 2003. They are regulated by RQIA. Providers have been delivering against the Care Standards issued in 2005. Now they have been updated this April and there has been varied feedback on how they will be implemented and evaluated. The Standards were out for public consultation before publication. The main feedback that I hear from Clients/Providers is that they agree with the standards and are keen to deliver. Where they struggle is providing standards of care expected by the public with the current Regional Fee. Many independent studies have been conducted indicating that the fee is insufficient to cover care and does not reflect the true price. Given the current state of affairs in Northern Ireland and the ever increasing need to make efficiency savings are our older people falling to the bottom of the list? What is happening with ‘Transforming your Care’, when we expected to see a reduction in spend within the acute sector reallocated to community settings? NI Direct Government Services/Paying for Care offers guidance for families who are increasingly making up the deficit with third party contributions where Providers charge ‘top ups’ in order to offer better standards. It is not all about money. I have seen many Providers offer excellent standards without third party contributions. I am also aware of Providers who apply ‘top ups’ and the service is not enhanced or additionality evidenced. So its all about balance. It is fact that you will not get 5 star standards in a 2 star hotel paying a 2 star fee. Nursing Homes are no different, the principles are the same, revenue versus spend. So what do we do? We work together to make a difference. We raise the profile. We create a culture of understanding and as families we acknowledge that when our loved one goes into care we retain some responsibility and stay involved. You will see much in the new standards about participation and involvement and this should be promoted. The culture of the home is based on quality relationship-centred care that nurtures the well being of the residents, enables them to feel valued, and promotes and supports their engagement and participation in the running of the home and decisions about their daily lives. Residents maintain contact with family, friends and the community according to their wishes and preferences. All Nursing Homes need to have robust Governance Systems in place starting with a Risk Register. This encourages examination of potential issues before they become a problem and enable the Provider to implement measures to protect and prevent. 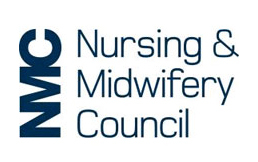 Care Staff are now registered with NMC or NISCC. This means they work within their codes and are accountable. These codes will ensure they are working within the regulations and standards. I would be keen to hear your views and will publish them online with your permission. This is a controversial debate and one that should remain in our thoughts given the demographics in Northern Ireland. As a Consultant I am working with Providers daily and I am available to discuss personality if you need any assistance working with the Regulations or Standards. As a Counsellor I understand how difficult it is to place a loved one in care. I offer personal therapy to help you to make this transition with the least emotional pain possible. ← # Dementiaville/What did you think of the programme tonight on Dementia?